“It's…. CHRISTmas” shouts Noddy Holder with a slightly unsettling level of enthusiasm. Perhaps Christmas was better in the 70s? But either way, here we are. The big day at last. After months of adverts shouting about the big day, and the intense pressure of having to figure out exactly what to get everyone, it is finally time to relax and enjoy. So here's our essential guide to everything that you should do on Christmas Day. In what is fast becoming a new annual tradition, on Christmas morning Twitter essentially becomes a police state, acting with an iron sneer towards any kids who lack the self awareness to realise why complaining about their presents might be a bad idea. A search for “iPhone” will reveal hoards of teenagers outraged that their parents bought them a space grey iPhone, rather than one in rose gold… when what they really needed was a sense of perspective. Usually if you're drinking in the morning it is a sign that you might have a bit of a problem. But Christmas Day is essentially a free pass. So go nuts and crack open a beer! Knock yourself out! Just make sure that you're drunken stupor doesn't ruin everyone else's day. The church invented Christmas, so why not pay homage to the best of bank holidays by actually going along to a service to see what it is all about? There's singing, speeches and friendly people. Okay, so you might not believe all of the stuff you're supposed to, but that doesn't mean you can't enjoy the tradition and the ritual. It's like saying on Facebook that you're attending an event: Nobody really expects it to be true, but if it is, then that's a nice surprise. The Church of England is also Periscoping services every Sunday now and over Christmas so you can join in on Twitter. Check out the Christmas services this year. Ah, the one meal a year when the whole family get together to share a meal. Mum and dad are there. Brothers and sisters. Aunts and Uncles. So what better time is there to bring up that particularly awkward topic and needle someone over it. Let's face it, if you don't do it then your aunt is going to start going on about how your sister isn't married yet. Or maybe your dad will passive aggressively snipe about Grandma's inheritance. Given that everyone is, at least in theory, supposed to be pretending to enjoy each other's company, even if you're right on the substance of the issue, as long as you're not the first to get up and leave the table in a huff, you technically win. Nothing says patriotism like rising from your seat during the Queen's 3pm address to the nation. You should stand stoically as an increasingly frail Sovereign dishes out this year's platitudes. Shout out to the armed forces? Of course. Oblique reference to some sad news that year, perhaps. Silently contemplating what a bizarre thing a monarchy really is as you watch an 89 year old woman forced to be on the telly? Definitely. You can always watch it on YouTube as well. When families got together at Christmas, back in the day, what could be more enjoyable than singing some traditional songs around the piano? Okay, so it might be a bit weird to sing with your family, and buying that keyboard to learn how to play was more of a misguided aspiration than something you actually put your mind to… Well, you could always have a family game of Just Dance 2015 on Xbox One Kinect… it's basically the same thing, right? Oh okay, well how about just watching Christmas Top of the Pops? Though the weekly programme has been long dead, the BBC still makes a festive edition - the perfect time for you to catch up and discover what the kidz have been listening to all year. Don't worry, you're not the only person who is frankly astonished by the number of songs and artists you've literally never heard of. And it's okay if you're officially out of touch now - you'll always have your Spotify loaded up with your 90s indie playlists. At some point in the past, the traditional January sales became Boxing Day sales. But now thanks to the internet, you don't even need to wait for the next morning. Why not head online and load up on the presents that you wish you had received earlier that morning? 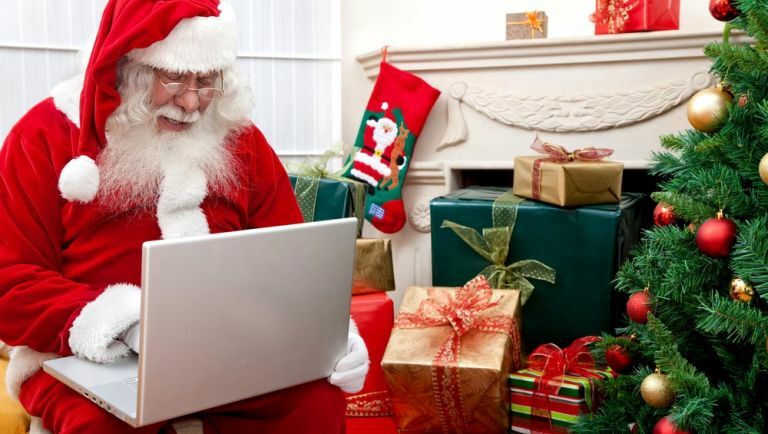 If you're heading 'home' for Christmas and visiting the folks, then surely it won't be long before one of them asks if - since you're home - if you could have a look at a problem they've been having on the computer. Whether it is changing the password on the wifi or installing printer, you should probably help them out. They did raise you, after all. It's 7pm! You made it through an exhausting Christmas Day! Congratulations! To celebrate, here's the Doctor Who Christmas Special, which this year sees The Doctor face off against his toughest adversary yet: the spectre of diminishing returns. Sure, it is a bit wrapped up in its own continuity to really make much sense to the casual viewer, but there's lots of running and shouting, so it at least appears rather exciting. And hey, if you do drift off to sleep by all of the talk of Gallifrey, Shadow Proclamations and Rasilon then good for you - you earned it! Good Christmassing!